WASHINGTON—The government has come under fire for separating families, and again for not reuniting them quickly enough. However, the Department of Health and Human Services is identifying some of the parents as serious criminals. On June 26, a federal judge in San Diego ordered that parents and children who had been separated after crossing the border illegally, should be reunited within 30 days—or 14 days if the child is under 5. As of July 10, the Department of Health and Human Services (HHS) says 102 children fall into this category and it has already reunited four children. Another 34 were to be reunited by the end of the day, according to Chris Meekins, chief of staff, HHS’ Office of the Assistant Secretary for Preparedness and Response, in a media call on July 10. A further 17 children children are eligible for reunification but must wait until their parent is released from Immigration and Customs Enforcement (ICE) custody. Sixteen more parents have cleared a criminal background check, but their relationship to the children has not yet been verified by a DNA test or documentation. Other families are eligible to be reunited, but for logistical reasons, the agencies cannot meet the deadline, said Meekins. Of the 102 children, 14 are not eligible for reunification because of issues with the associated adults, Meekins said. Meekins said three adults, when faced with the DNA test, admitted they were not the real parents. Two others claiming to be the parent failed the DNA test and will need to provide more evidence of legal guardianship before reunification is back on the table. One other child reported child abuse by their parent and will not be reunited, he said. One parent has a contagious, infectious disease and the reunification process will begin once that is handled, Meekins said. “Our process may not be as quick as some would want, but there is no question that it is protecting children,” Meekins said. The parents who have been reunified with their children and released into the United States will be required to wear an ankle monitoring device to ensure compliance at future immigration court hearings. President Donald Trump issued an executive order on June 20 to help stop family separations at the border, the main action of which was for Attorney General Jeff Sessions to request an amendment of the Clinton-era Flores Settlement Agreement. The Flores agreement is the court ruling behind many of the family separations at the southwest border. Sessions filed a motion to amend part of the agreement so that ICE can detain families together in ICE family residential facilities. Beyond that, the administration wants to amend the provision of the agreement that prevents ICE from detaining families together for more than 20 days. It takes a median of 40 days to complete an immigration case when the aliens are detained, according to the Department of Justice. On July 9, the court declined to amend the 20-day provision. 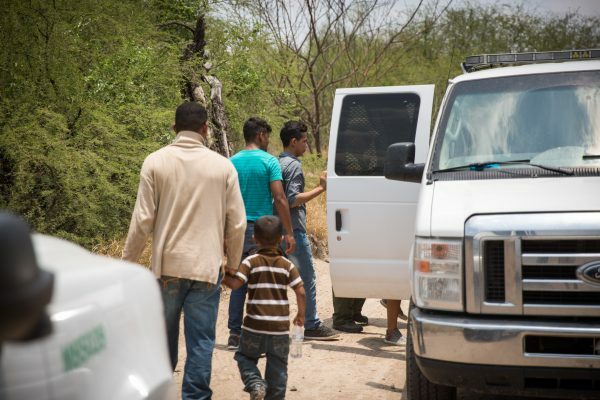 “We disagree with the court’s ruling declining to amend the Flores Agreement to recognize the current crisis of families making the dangerous and unlawful journey across our southern border,” said Justice Department spokesman Devin O’Malley on July 9. O’Malley said the Justice Department is still reviewing the ruling. 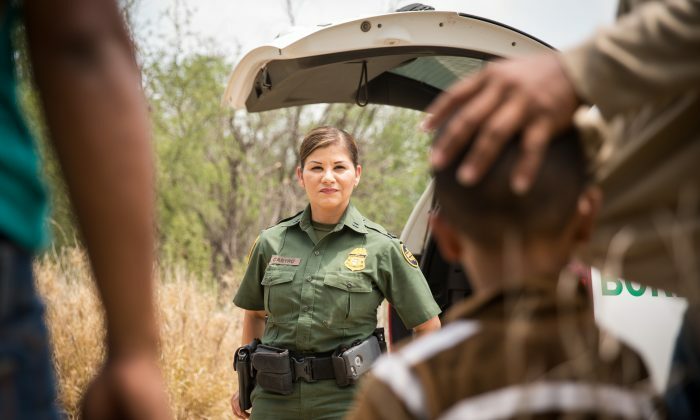 Families are rarely separated if they enter at a port of entry and seek asylum, said Customs and Border Protection (CBP) in a statement on July 9. However, individuals who attempt to enter the United States illegally are subject to prosecution, which requires that any children be separated from the adult, CBP said. “Family separation at the ports of entry is very rare, and it’s only done under exigent circumstances in order to protect the child and to ensure the wellbeing of the child,” said Todd Owen, executive assistant commissioner of CBP’s Office of Field Operations, in a statement on July 9.